Accepting all the forms of electronic payment methods including mag-stripe, EMV and NFC/contactless is only half the battle for merchants when it comes helping with adoption of different ways to pay. In some instances, you need to make sure your customers are aware that they can pay any way they want to – whether it is via EMV or mobile wallets such as Apple Pay and Google Pay. A recent article in Digital Transactions mentioned how some merchants who have NFC/contactless capable payment solutions may not have turned them on leading to confusion among customers on whether this payment method is available or not. This lack of education among merchants combined with the absence of awareness triggers for consumers regarding this new payment method can affect the checkout experience for shoppers. To make matters worse, consumers sometimes attempt to use contactless payments at locations that incorrectly have signage encouraging them to use mobile wallets, without any success. This leaves them frustrated and less likely to attempt to pay using their mobile wallets or contactless cards again any time soon. Speed of transaction: A quick checkout creates efficiencies for merchants as they are able to serve more customers. Security: Mobile wallets use tokenization to replace the cards original account number, providing enhanced transaction security. This assures customers that their card data is safe. Enhances brand perception: Acceptance of NFC/contactless payments helps improve the consumers perception of the merchant and their commitment to cutting edge technology. Making it clear that you accept NFC/contactless transactions to the customers is an important and simple way you can spread awareness that you accept this payment method. Card brands such as Visa offers free POS signage for contactless that you can download and affix on their payment acceptance device. Stickers to show mobile wallet acceptance are also available from Apple, and Google and your cashiers can point to these signs, to remind customers they are able to pay using their smartphone. 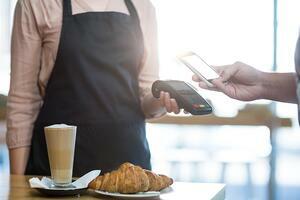 You should train your staff on how to accept mobile wallets on your POS systems. Your clerks should also be able to articulate where on the payment device consumers should tap their contactless cards or smartphones. While the terminal or card reader should clearly indicate where to tap a device or card, often store clerks will need to step in and direct the cardholder. This helps ensure a smooth transaction process and encourages shoppers to use this payment method more often.  Enabling NFC/contactless payments is just the beginning of the journey for merchants. By motivating their customers to use mobile wallets, they are not only enhancing their checkout experience but creating efficiencies within their business. If you have more questions regarding NFC/contactless and mobile wallet adoption, feel free to ask them in the comment section below or visit our Ask an Expert section.